The Voter ID Card or Electoral Photo ID Card (EPIC) is an identification card issued by the Election Commission to all the citizens of India above the age of 18 years in order to vote and practice their democratic rights. It also serves as general identity, address and age proof for other purposes from buying SIM card to applying for a passport]. Voter ID cards carry personal details such as face photo, date of birth and address of the card holder. It also contains the serial number, a hologram sticker and stamped signature of the issuing authority. EPIC is also a unique identification document for all Indians. It is helpful not only in casting vote but also acts as an identity proof while opening a bank account, getting a new gas connection and online reservations for travel and accommodation. “Democracy runs on the power of its people“. Hence to exercise the power given to us, it is indeed important to cast our vote and make ourselves heard. Visit the official website of Election Commission and click on National Voters’ Services Portal. 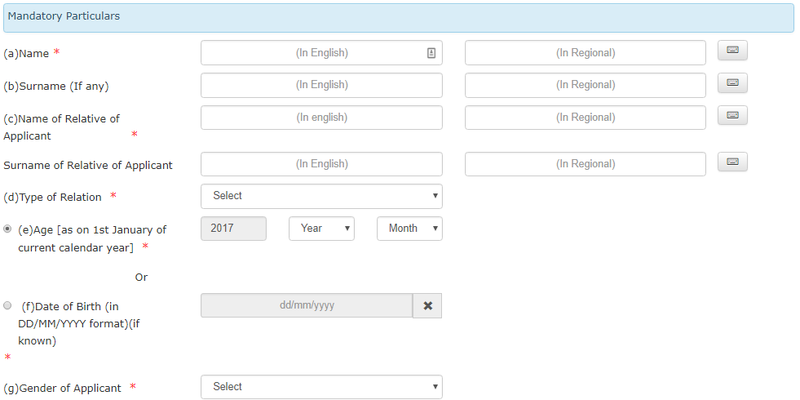 Once the online form opens, fill in the all the required details. After filling on the details, applicants can click on submit. Once the documents are successfully uploaded applicants will be sent a reference number through which they can check Voter ID Status. Visit the State Election office and request for a Form 6. After filling in the necessary details and providing all relevant documents such as Identity proof and address proof, customers can submit the form to the office and after verification of all details; customers will be issued with the Election ID after a specified period of time. Visit the National Election Commission or State Election Commission website and download Form 6. Submit the form at election office by either post or in person. Any of the alternative documents prescribed by Election Commission for identity proof. Overseas Indian deemed to be ordinarily resident at address given in passport. Voter ID card is required for a number of purposes. It is also considered as an identification card. It has other uses as well. This card provides the assurance of the card holder as it contains card holder’s signature, photograph, fingerprints etc. All Indian State has a State Election Commission, which means every state has a CEO (Chief Electoral Office) website, which provides the facility to track your application status online. Visit the official website of your states CEO portal. And on the home page, click on “know the status of your Application for Enrollment” and upon clicking on this, it direct you to a new page where you will have to provide some basic details. You can verify your voter ID, for that you will need your Voter ID number. Visit the official site of Chief Electoral Office (CEO) of your state and provide your voter ID details. 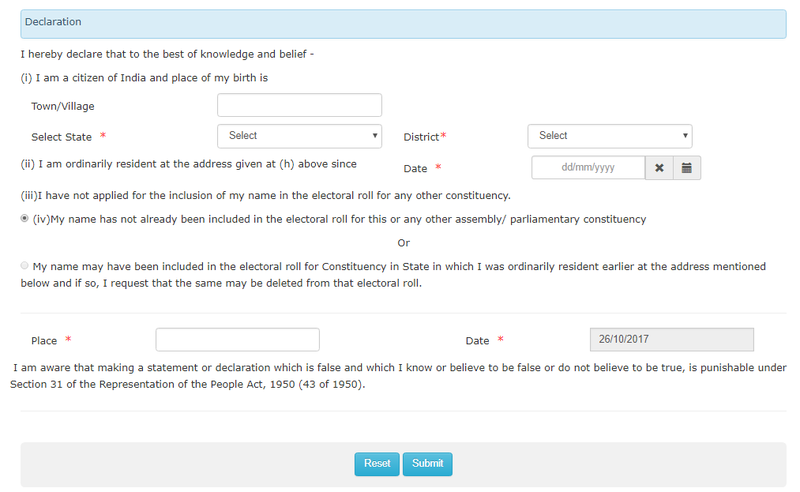 By doing this you can check if your name is present in the electoral roll. You can verify using the offline method as well, for that you will have to visit your nearest Election Commission Office and keep your application number handy. In case there is some misprint in your voter ID card, or you have changed your address, you should immediately update or correct it as this card works as your proof of identity. In case of misprint, procure form 8 and fill out the form, submit the form along with the supporting documents to the Electoral Registration Officer (ERO) of your assembly constituency. Once submitted, the ERO will update your Voter ID card. Relevant form for applying for a Voter ID card is Form 6. Provide relevant original documents only. Apply for a Voter ID only through Government websites and Centres or sites which have been approved by the Government. Fill in the details in the application form correctly such as spelling of you name, date of birth etc. Otherwise wrong information might get printed on the Voter ID Card. Applicants should also ensure that the information that is being provided is legally correct and is not fake. Once applicants receive their Voter ID, they will have to check the document to see if all the information is correct. Only persons who are of unsound mind and have been declared so by a competent court or disqualified due to ‘Corrupt Practices’ or offences relating to elections are not entitled to be registered in the electoral rolls. Suppose you have completed 18 years of age today. Can you get yourself registered as voter? No. You can get yourself registered as Voter only on 1st January or thereafter of the year in which the electoral roll is prepared or revised. What proof of residence do I need to show to get enrolled as a voter? You can show any proof of residence like Passport, Bank Pass Book, Driving license etc. or any Govt. document to facilitate the work of registration. If I am working and living in Delhi, Can I be a voter in my native village? No. If you are working in Delhi and residing there, you are an ordinary resident of Delhi in terms of Sec 19 (b). Therefore, you can be enrolled at Delhi only and not in your native village. 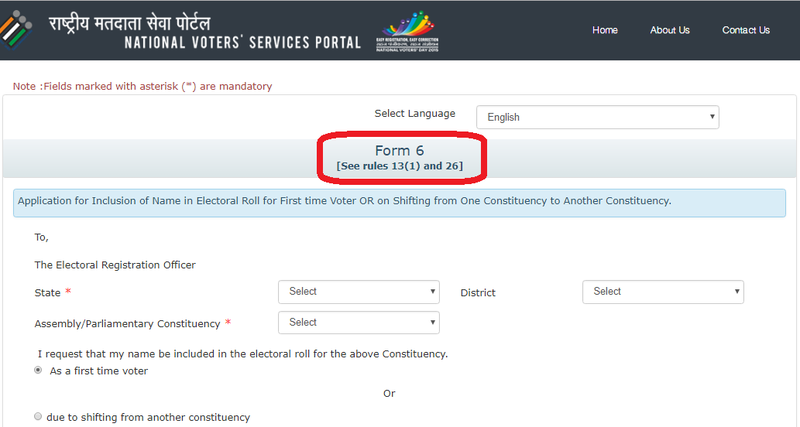 How Can You check your name in electoral roll? I have lost my old EPIC Card. How can I get a new EPIC Card? You can deposit a copy of the FIR lodged at the Police Station. You will get a new EPIC Card after deposit of Rs. 25 with ERO / AERO of your area. The dates for issuing EPIC Cards are published in leading Newspapers. Can a non –Citizen of India become a voter? No. A person who is not a citizen of India cannot be registered as a voter. Article 326 of the Constitution read with Sec. 16 of R. P. Act, 1950 clarify the point. If you have applied for a new Voter Id or planning to make few corrections in the Voter ID, then you can easily track down the status of your Voter ID application form online. Well, before heading to know more about the Voter ID Application Status, it is very necessary to know a few things. If you have applied for a Voter ID Card due to the migration of your constituency or if your name is not listed on your usual poll booth then you need to check your name in the Voter’s List first. If your name appears on the list then you don’t have to create a new Voter Id and if not then you need to apply for a new Voter ID Card and then track down your application status. The procedure to check the Voter ID Status is quite easy and does not take much of your time. The process to check Application Status Form of Voter ID is done completely online via NVSP Website, there are other ways to track down as well which we will be discussing later in this article. So, let’s not waste any more time and go straight to the details of Voter ID Card Application Status. As the name suggests, Voter’s identity card is required to participate in elections to cast your vote and elect your leader who will then run the country. Voter’s identity card is also known as EPIC (Electors Photo Identity Card). And it is authorized by the Government of India as an identification proof. In this article, we will discuss the various methods to check Voter ID Application Status. Elections take place in every 5 years in India. And it is the responsibility of the citizens to exercise the right given to them and elect the ideal leader by casting their vote. And in India, every individual who has reached the age of 18 years or above are eligible to vote and take part in an election. Unlike previous times where people were required to visit the electoral office physically in order to inquire about their Voter ID Card application process. However, today the process has become much easier and simple where you can complete the task anytime and anywhere according to your convenience. Besides this, a user can also call the call center of the Election Commission of India. The number is toll-free and the instructions are given in both Hindi as well as English and few regional languages as well and their number is 1950. 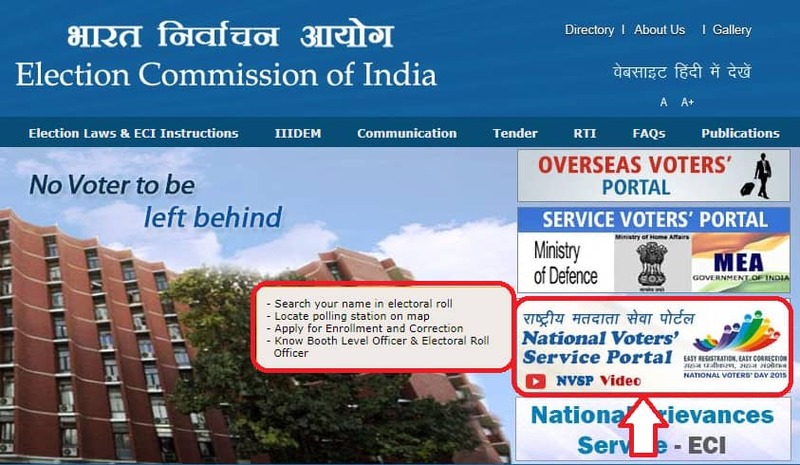 The Government of India, in order to ensure an easy access to the Election Commission by the people of India, initiated the online portal i.e National Voter’s Service Portal (http://www.nvsp.in) where besides other services, also facilitate people who have applied for their voter’s id to check the status of their application. 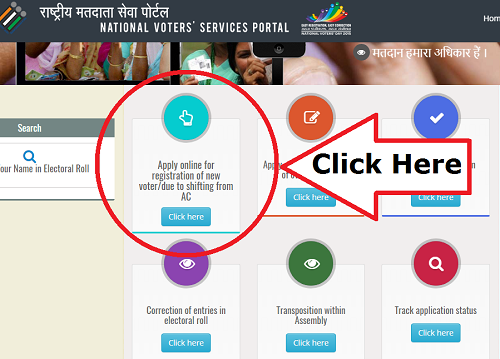 Visit the website of National Voter’s Service Portal i.e. http://www.nvsp.in You can also track the status of your application form on respective State CEO Website. A list is given below for your convenience. After this, a page will appear which will ask for your Reference Id. You will find the reference id on the acknowledgment you received after successfully submitting the Voter ID Application. If your Reference ID is correct, the status of your Voter ID Application Status will be displayed on the screen. Type EPIC then spaces followed by the Voter’s ID Application Number. The message should be sent to the Electoral office which will send the information about the Voter ID Card Application Status. The number to which this SMS has to be sent varies from one Electoral Office to another. A List is also provided here. You will be redirected to a page where in order to search by EPIC number click on the second tab. Officers in the Chief Election Office. Visit the official website of National Voters’ Services Portal. Enter the reference number provided during the submission of Form 8. After this click on “track status” to view the status of the application. It must be noted that after applying for the voters’ card, either the applicant will receive the card or the verification team will visit the applicant’s residence. However, if neither of these happens then the applicant must inform the zonal officer, ERO, Local Tahsildar or call the polling station in his or her area. While applying for a passport the voter’s id card acts as a compulsory document to verify an individual’s identity. Similarly, while traveling within the country one must always carry the voters’ id card as it is their most important of proof of citizenship. Voters id is provided by the government of India does not discriminate anyone on the basis of caste, class, gender or tribe. However, it has only one pre-requisite that is in order to avail this card one must be 18 years or above. It is the only card that entitles the power to vote to an individual.